Flashing Jumbo Birthday Badge. 14cm Diameter. 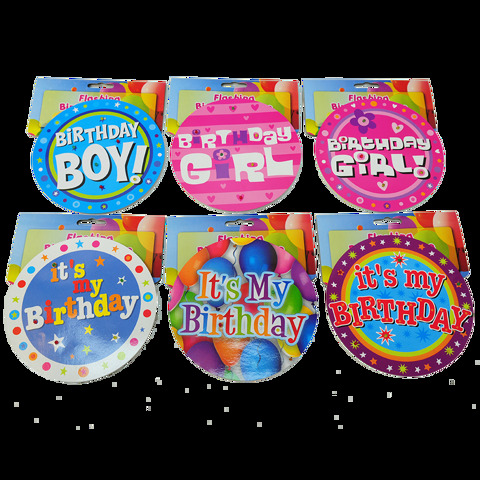 6 Assorted Designs: 2 x "Birthday Girl" 1 x "Birthday Boy" 3 x "It'S My Birthday". Paper / Sponge / LED Bulbs. 33G Packaging: Backing Card.